A little while ago the folks over at RavPower sent me one of their Element power banks to review, which I used as part of a timelapse video – see the blog post here. Now that power bank packed an almighty 10400mAh which is ideal for lengthy camera projects or similar. If you’re looking for something slightly more ‘mobile’, their new Luster power bank might be a better choice for you. However, my first question was “Can they run a Raspberry Pi” and if so, how long for? Rather than do a flat test just running an idle Pi, I gave this test more of a real-life scenario using the camera module and some other parts attached drawing power. After all, most of us using a power bank are likely to be using it for something interesting. 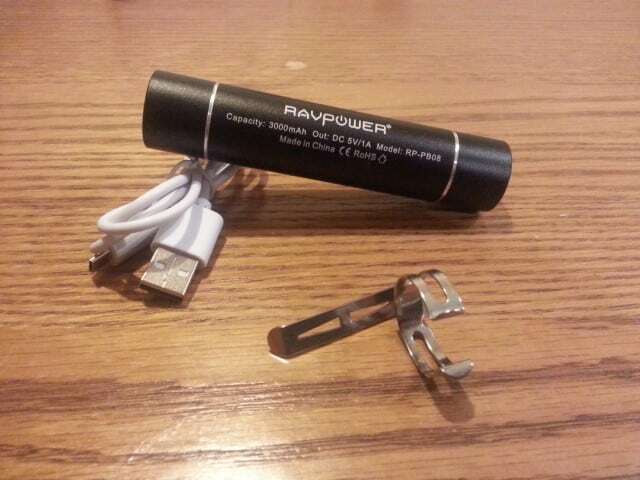 WIN a RavPower Luster Power Bank! The good people at RavPower have also given me a brand new Silver Luster power bank to give away as part of this review! Read on to see how you can win! 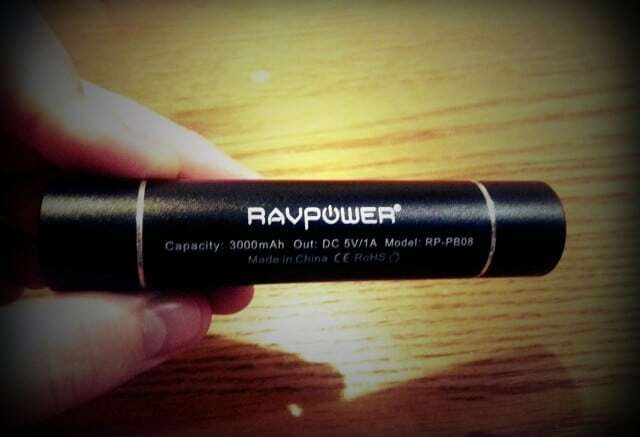 Before we run the test, let’s see what what this new power bank from RavPower looks like, and see what’s in the box. I didn’t realise that this would come with a USB cable or a belt clip – so that was a bonus. After taking off the protective cover, the power bank feels good quality with a decent weight to it and a nice cold metal surface. 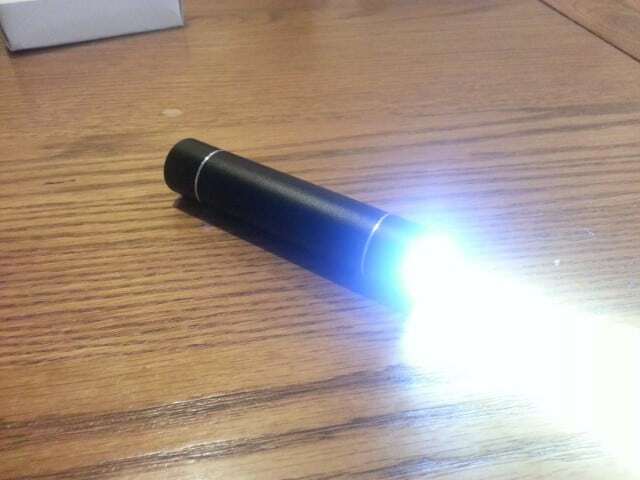 Soon after opening the box I remembered that this power bank comes with an LED torch at one end. 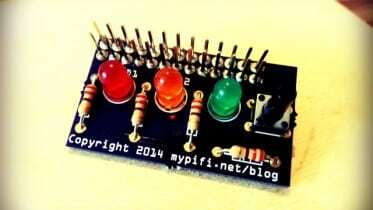 A few clicks of the ‘on’ button and I discover it has 2 light modes (bright / dim) and an SOS flashing mode. This thing is full of surprises. I plugged it in (USB) to get it up to full charge ready for testing. Another decent feature here is the handy charging indication light – the end of the unit lights red while charging and blue when full. I’m impressed so far, i’m seeing lots of little features that give you that confidence that someone has actually sat down and thought a product through, rather than rushing cheap junk to market. So far so good. When I first took delivery of this power bank, I intended to test using just an idle Pi to see how much time I could squeeze out of it. However on reflection I decided that it was more important to see how long it could last doing something realistic. 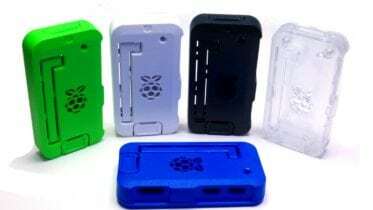 I’ll make an assumption here that anyone wanting to take their Raspberry Pi out and about, is doing it for a good reason – taking pictures, playing music, mobile gaming etc – so you’re likely to have things connected that will draw more juice. With all that in mind, I’ve gone for the obvious option and attached a camera module. Along with that, I also had my PiTFT and Keyboard attached. A realistic test using all my favourite Pi add-ons! I attached the Pi to the power bank – everything booted and worked fine. Using my keyboard and the PiTFT I ran the command above, ran a few ‘ls’ commands to make sure images were being captured, then put my trainers on and went out for the day. I returned that evening to find a powerless Pi – the power bank had run out of juice as intended, but how long did it last? I powered up the Pi and used FileZilla to navigate the filesystem. 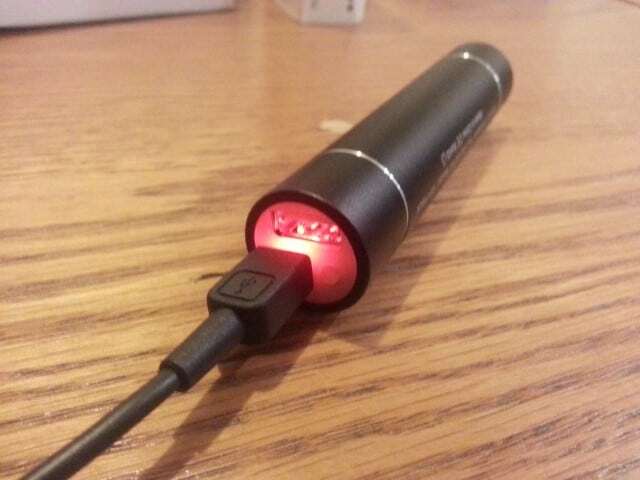 Looking into my image folder I found the final image named ‘image_1790dd.jpg’ – it had taken a whopping 1790 images using this little power bank. So that’s a shot every ten seconds – 1790 x 10 seconds. This is 17900 seconds, or in something more ‘human’ – 4.97 hours. That’s nearly 5 Hours of non-stop shooting on a power bank the same size as a marker pen! I’m sure the maths adds up but I was still surprised by this, I was only expecting a couple of hours, especially with the PiTFT and camera working the whole time as well. It’s worth noting that the PiTFT screen does time out after a while and dims the backlight, so this may have been less if that timeout was removed. Also no WiFi dongle was connected, this could also have reduced the power time. For less than £11 (as of 01/07/14), you get a really decent bit of kit here. The Luster looks and feels solid, and has enough juice to power most ‘out of the home’ projects I can think of. 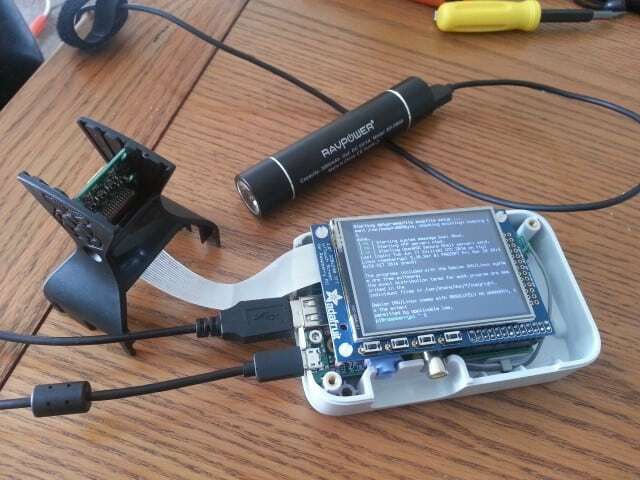 The torch is a nice additional feature – great for the car when you’re not using this for your Pi. It comes with everything you need, and has the RavPower support and reputation behind it. 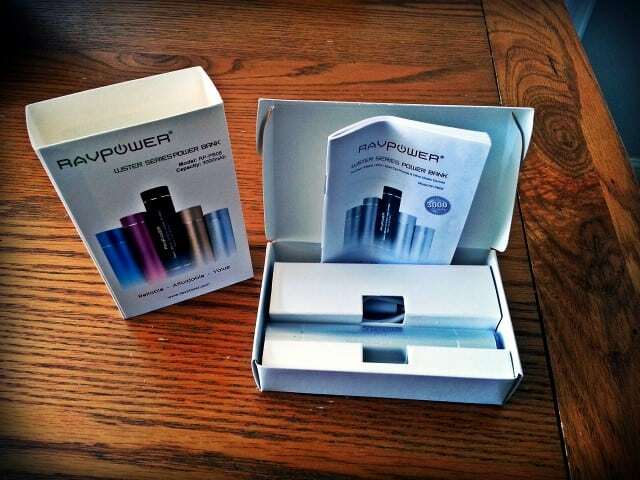 The generous guys over at RavPower sent me a brand new silver Luster power bank to give away as part of this review! If you would like a chance of winning, simply fill out the form below and follow me on Twitter. At 12:00 GMT on 11/07, the competition will close and I’ll announce a random winner . I use an Android random number generator app to select the winner – each entry gets a Google Sheets row number, and the row number randomly generated is the winner. Simple! 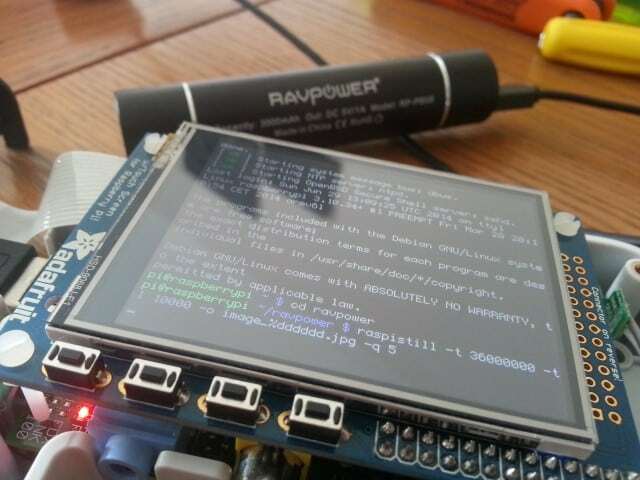 Be the first to comment on "Testing the RavPower Luster with the Raspberry Pi"